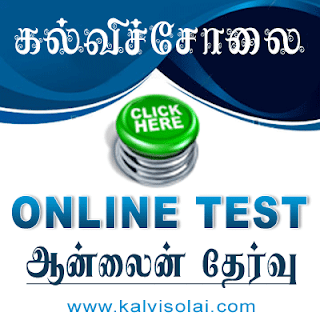 Kalvisolai.Info: தொடக்க கல்வித்துறையில் பட்டதாரி ஆசிரியர்கள் மற்றும் இடைநிலை ஆசிரியர்களுக்கான இடமாறுதல் கவுன்சிலிங் ஜுலை 21-ந் தேதி தொடங்கி, 31-ந் தேதி வரை நடைபெறுகிறது. 1. ஜுலை 21-ந் தேதி - காலை - பட்டதாரி ஆசிரியர் பணி நிரவல் - ஒன்றியத்திற்குள் மற்றும் ஒன்றியம் விட்டு ஒன்றியம்; பிற்பகல் - பட்டதாரி ஆசிரியர் இடமாறுதல் - ஒன்றியம் விட்டு ஒன்றியம். 2. ஜுலை 22-ந் தேதி - பட்டதாரி ஆசிரியர் பணி நிரவல் மற்றும் மாறுதல் - மாவட்டம் விட்டு மாவட்டம். 1. ஜுலை 28-ந் தேதி - இடைநிலை ஆசிரியர் பணி நிரவல் மற்றும் மாறுதல் – ஒன்றியத்திற்குள். 2. ஜுலை 29-ந் தேதி - இடைநிலை ஆசிரியர் பணிநிரவல் மற்றும் மாறுதல் - ஒன்றியம் விட்டு ஒன்றியம். 2009 Entrolment Second grade teacher When applying to distt to distt transfer.....??? 2009 ல் சேர்ந்த இடைநிலை ஆசிரியர்கள் எப்பொழுது மாவட்டம் விட்டு மாவட்டல் பணியிட மாறுதல் போகமுடியும் .....??? இடைநிலை ஆசிரியர்களுக்கான உச்சநீதிமன்றத்தின் தீர்ப்பு எப்ப முடிவுக்கு வரும். எப்பொழுது அவர்கள் மாவட்டம் விட்டு மாவட்டம் பணியிட மாறுதல் போக முடியும் தயவு செய்து விவரம் சொல்லுங்கள்..............!!!! What about PGT transfer counselling on July 4 &5?.Education dept CEO offices did not put up vacancies at their notice board till this minute. Counselling tomorrow.You have to travel and know it .Or you have to travel two district HQ CEO offices for inter district transfers on same day 5.Had they publish it counselling is fair .Else they just sell it. Ihave been teaching without food since 13-6-2012atVannathur,Nallur union,cuddalore Dt, Tamilnadu for a fair teachers' counseling.it should not be like last year as eyewash counseling filling alredy and declare no vacancy.my requst to the den dept to publish all the vacanccies in internet,newspaper aand to all schools ffor information to all teachers. I asked the chief secretary of Tamilnadu, The education minister of TN,and the directtor of elementary edn to publish the vacancies of B.T teachers aand maany quiries as per RTI-2005 TO AVOID CORRUPTION.If CNNIBN COMES FOR INTERVIWING ME I SHALL EXPLAIN IN DETAIL. I,S.Kandasamy applied and attended teachers' transfer counseling at Trichy for 2011,it was declared that B.Tteachers need not sit for traansfer, they can go home.Ifelt ashamed to vote in the franchise.N for the past two days I am on fast, without food teaching in schoolsince 13-06-12 at Vannathur,Nallur Uniion,Cuddalore Dt, Tamilnadu.The education department authorities are yet to see me and settle my humble requests.They are as follows 1Publish all the vacanccies in edn dept in internet and newspapers and send copies to teachers. 2.Irrespective of schools pallikalvi,elementary edn,all sec grade,B.Tteachers may be allowed to have transfer as they like and thier promottion also tto be made common. 3.If any working teacher pass the higher grade exam conducted by TN they should be permitted in appoitmeent with their rendered service and their higher salary. sir already i mean last year one year course candidate teachers have promoted to B.T teachers now RTE act as follows shall they rewoke to secondary grade teacher? double degree promotion orders of SG asst as per the RTE act. 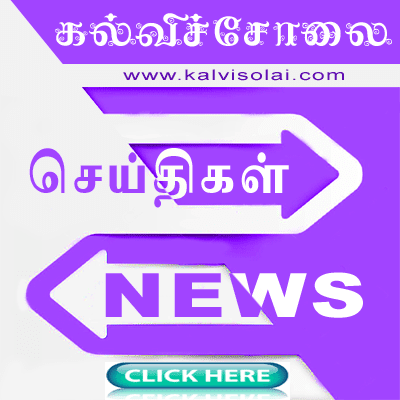 Can anyone give the vacancy lisi for BT- Maths in kanchipuram & thiruvallur dist. Sir can you please inform the school in which counseling for BT assistant is to be conducted. Being a teacher that too Govt teachers and having qualification/salary much higher than that of private teachers, we must improve our communication skills and english knowledge. It is pity to see the comments having lot of spelling mistakes and grammatically incorrect are published. Please teachers, improve your knowledge and skills in english. pls, try to remove the big images in the web site. because the downloading time is too much. The director of school education, first fill the BT post to the secondary grade place.when the SG teachers go to his place.the education deportment first start the SG teachers transfer counseling,and then fill the BT teachers. But every time the director of education don't give the respect to the SG teachers. You all befooled by your so called associations. The corrupt and culprits acting as the office bearers of the so called associations collecting money in lakhs and act as benomy brokers for politiicans. Yesterday, I was at Madurai DEO office. Three office bears of the one association was holding two recommendation letters and pressurising the education dept staff to block 6 vacancies. For tomorrow counselling and day after, madurai, theni, sivaganga and dindigul 65% vacancies already blocked. This issue is known to all DEOs well and all associations. Last week there was a meeting between the associations and DEOs, it was decided that the list will be first shown to association office bearers and then to decide and declaration of vacancies. It was decided to block 50% for association recommended cases even before counselling. But some districts ti has gone to 70%. For every case DEO staff are paid one lakh remaining to the culprits. When I asked the DEO as to why they are not announcing openly the vacancies, it was told the associations only stopping them by putting pressure. They even bring letters and money to the houses of education staff in the mid night till counselling start. All teachers beware. If you compare the list of vacancies for deployment and then for normal couselling, in between close to 122 transfer orders issued without any counselling. How is it possible? On what grounds ? Why the associations not asking for explanations. ? Because they are the main culprits. You please check the no of vacancies declared on 23rd for within district counselling and again on 24 th for dist to dist counselling. The vacancies will vary. How is it possible. A news reporter from Madurai. U R very correct. As per my friend in Chennai DSE office, except one or two district all districts are having close to 65 to 70 vacant seats per subject for counselling. (friday morning collected data). Actually in thiruporur union of kancheepuram district, there were 18 vacancies were available. But they showed only 12 vacancies in the deployment counseling for secondary grade teachers. but we came to know that some teachers from other union and other districts paid more than 1.5 lakhs and came to this union. They didn't show the vacancies which are in the main road and close to OMR and ECR. I dont know why this is happening..... anyone have answer for this? your opinion is not correct.some are bad. but all are not bad. Is it possible for the teachers appointed through TET 2012 to get transferred within the district in this counselling?